We nurture excellence in research and teaching and recognise the strong link between the two. All our research brings benefit back to our teaching and many areas of our research have an environmental element. These include climate change, sustainability in engineering and systems, how connecting with nature benefits wellbeing, and the impact of tourism. We aim to put sustainability at the heart of education. 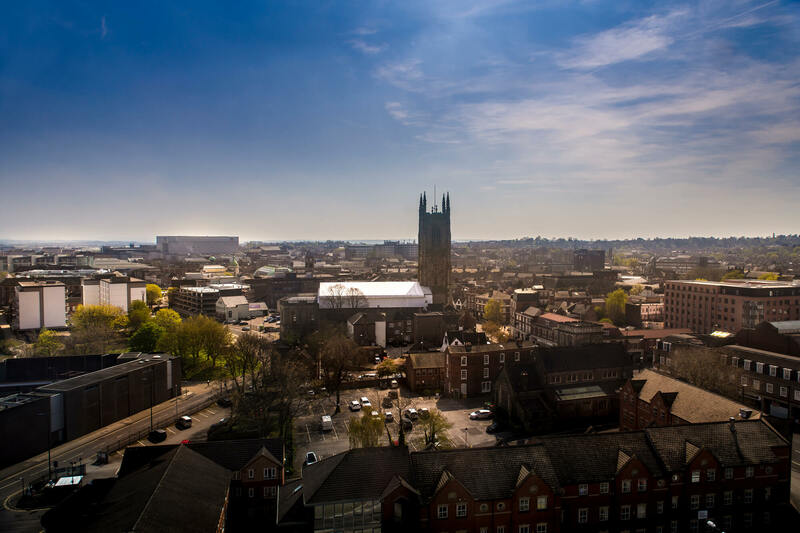 The University of Derby and the Derby Union of Students are working together to gain accreditation to the Responsible Futures scheme run by the National Union of Students (NUS). Our aim is to embed social responsibility and sustainability throughout our students' journey by working both formally and informally to increase their awareness of sustainability. The Responsible Futures scheme isn't just about doing the recycling properly - it's about giving our students the skills and experience they need to thrive as global citizens. The NUS has a list of criteria - mandatory and optional - which provides a framework for the scheme. The NUS trains our students to audit our work on Responsible Futures. If you are a member of staff or a college team interested in including or increasing the amount of education for sustainable development within your programmes or modules, please contact your member of the Responsible Futures Working Group, Rosemary Horry at r.e.horry@derby.ac.uk or Joel Klaff at j.l.klaff@derby.ac.uk. If you are a student interested in increasing your knowledge and experience of sustainability or you are interested in working on an environmental project which could link to an assignment, please contact Rosemary Horry at r.e.horry@derby.ac.uk. Take a look at the UN Sustainable Development Goals to learn about the issues and see how you can help. The theme for this project is ‘Trash to Treasure’, the conversion of trash into a unique product, garment or art work. This project is all about students creating an imaginative and personal response to the theme. Using recycled/found materials and considering the theme of recycling/upcycling, the task is to design and make an outcome within their specialist area of interest, this could be textiles, 3D, illustration etc. Students begin with a trip to Les Oakes reclamation yard and they collect all things recyclable to produce their outcomes with. In the past we have had dresses from empty crisp packets, chairs out of cardboard, ball gowns from bin bags, jewelry from electrical wires. Cycle of Good is a social enterprise designed to raise charitable funds for Krizevac Project which is a UK registered charity established to help end poverty in some of the poorest communities in the world. Krizevac sets up not-for-profit trading enterprises and make all their own funds through ethical trading relationships. The majority of their work is in a township called Chilomoni in Malawi, one of the poorest townships in one of the poorest countries in the world. Cycle of Good is the latest enterprise to join the Beehive group. Currently employing 12 Malawian tailors full time, but with ambitions to grow this to a team of 100, they earn a good wage and can support their families. They collect waste inner tubes and other products, ship them in containers to Malawi and give them to the tailors who carefully craft useful and beautiful items. They also carefully source other Malawian made items, especially when they are made from recycled and sustainable materials. They ship all these amazing products back to the UK where they will be selling them worldwide. The profits pay for more containers to Malawi and all surpluses directly fund the work of the children’s centre there. It’s why it is called the Cycle of Good! To invent some new recycled inner tube products, with fabrication instructions and templates that can be made by the tailors in Malawi. Ideally they will fit with their ethos of being useful items, things that serve a purpose, rather than being purely decorative. They believe there is already too much “stuff” in the world, so the stuff they create needs to be useful. We're exploring the intersection of tourism, sustainability and health and wellbeing within and around protected areas at the Tourism Naturally Conference run in partnership with other universities. Academics or students with projects they would like to work on and University staff with environmental or sustainability initiatives where academic input would make a difference can contact Rosemary Horry at r.e.horry@derby.ac.uk. The Environmental Sustainability Research Centre (ESRC) provides students, academics, government agencies, industry and business with exciting opportunities to contribute to urgent global challenges in climate change and sustainable development. One such piece of research was conducted by Michael Sweet, Lecturer in Invertebrate Biology at the University of Derby. He found that, in order to save coral reefs and fisheries, scientists must improve their collaborations in small island states. Featured PhD student - Damiel Komsoon is at the Muni Lagoon, Winneba,Ghana, researching the impacts of climate change on a coastal community. Damiel is studying how local people, reliant on coastal resources, are responding to ongoing environmental and climate change and using that information to develop adaptation strategies. These strategies will enable communities to deal with the changes to their environment and associated livelihoods. This research is being carried out through the Environmental Sustainability Research Centre in the School of Environmental Sciences. The Nature Connectedness Research Group aims to understand people's connection to nature and create everyday interventions in order to improve connectedness, bringing about the associated benefits in wellbeing and conservation behaviour. The Institute works with SMEs to help provide cutting-edge solutions for the challenges faced. Professor Paul Stewart is leading this group at the University of Derby as the Energy and Environment Research Chair. 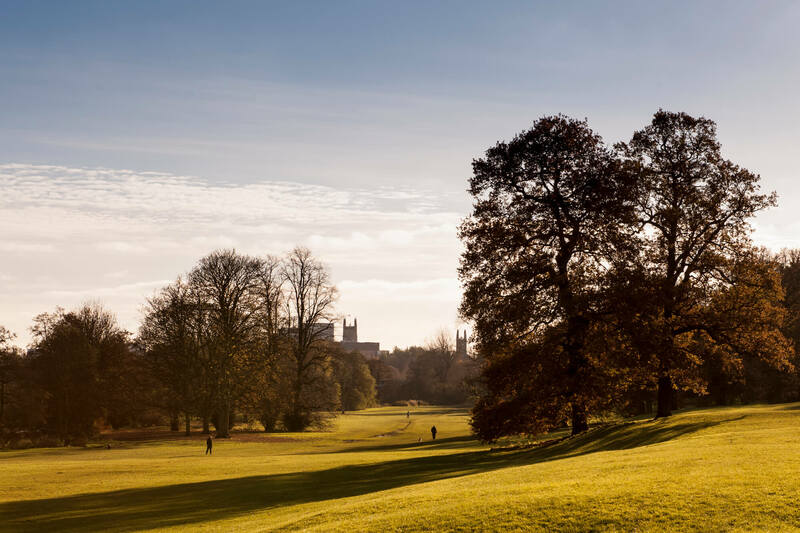 Our research in Sustainable Business and the Green Economy within the Centre for Business Improvement reflects our commitment to sustainability and the increasing importance of the low-carbon sector to the local, regional and national economies. We conduct practical and applied research to help organisations progress with green or low-carbon innovation. The research in the Centre for Supply Chain Improvement has three broad areas of focus: technology innovation, system improvement and process re-engineering. The centre's sustainability work includes Green Lean, Sustainable, Green and Circular Operations and Supply Chains. Academics and practitioners have long known about the benefits of networking. Dr Polina Baranova looks at how the Low Carbon Business Network can support environmental sustainability. A group of researchers who conduct research into the impacts of tourism, which includes work on sustainability. Our academics have been working with the Gangmasters Licensing Authority (GLA), which is part of the Home Office, to tackle human trafficking and modern slavery. 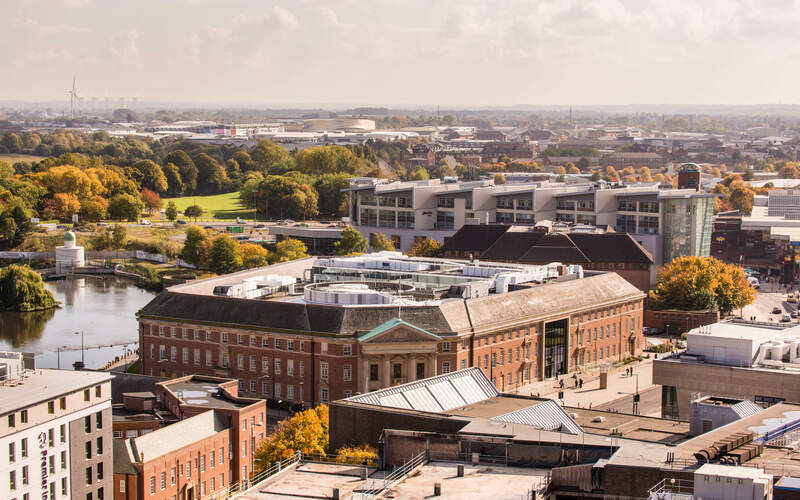 Our researchers based in Derby Law School are also undertaking a number of projects focused on the legal issues of sustainability, including bioethics and food technology.